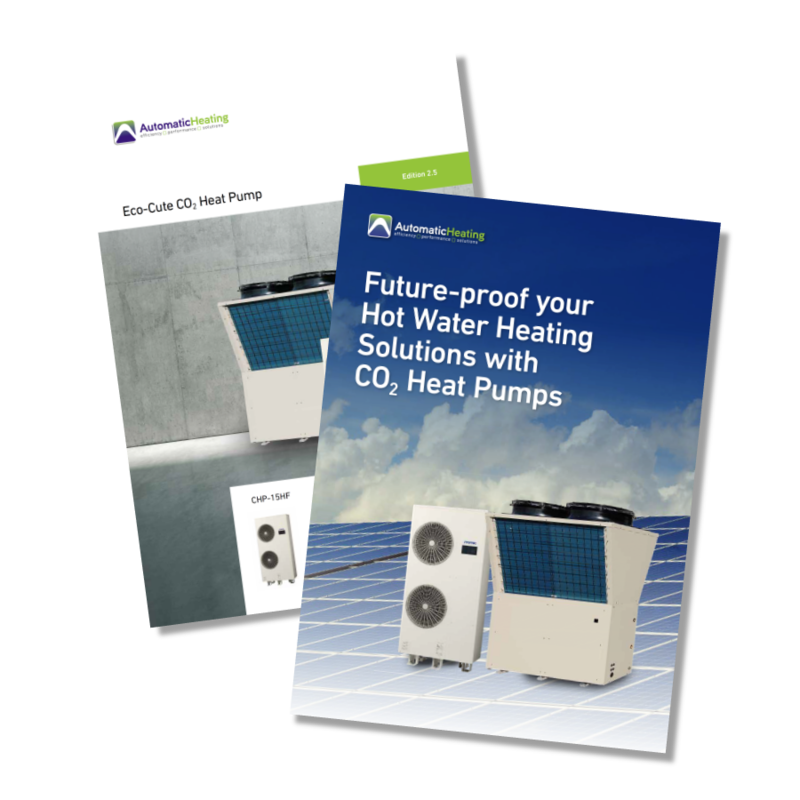 CO2 Heat Pumps, Solutions for Hot Water Heating. With renewable energy technology developing at an exponential rate, electricity is fast becoming the preferred heating energy source for smart buildings and smart property owners. Solar power systems are already able to deliver huge savings for commercial power users, and with battery storage technology now the focus of intensive research globally, this key component in the renewable energy consumption cycle may soon make on-site storage of the power you need, an affordable reality. Many who rely on fossil fuels for heating are finding their profits eroded as gas prices continue to rise, and combustion efficiencies maintain their status quo. You can save more on your energy bills—and contribute to a cleaner, greener and more sustainable future—with Automatic Heating Global’s CO2 Heat Pumps. Boasting an efficiency around four times that of conventional electric water heating technology, Eco-Cute CO2 Heat Pumps use minimal power and clever technology to heat your water to 90°C by extracting heat from the ambient air. Better yet, this process does not contribute to global warming, or run any of the risks associated with traditional combustion. Why source your heat pump solution through Automatic Heating Global? Not all heat pump solutions are created equal, that’s why it’s wise to work with the experts. When you source your heat pump solution through Automatic Heating Global, you receive access to both project management services and engineering expertise. We invest time and attention in every project to ensure that only the best customised heat pump, or hybrid package, is designed to meet the unique demands of your individual project. Our engineers provide one-on-one consulting sessions with you and your team, with no cost and zero obligation. Our project proposals and quotations are also provided free of charge. An assessment of your current equipment and energy usage. 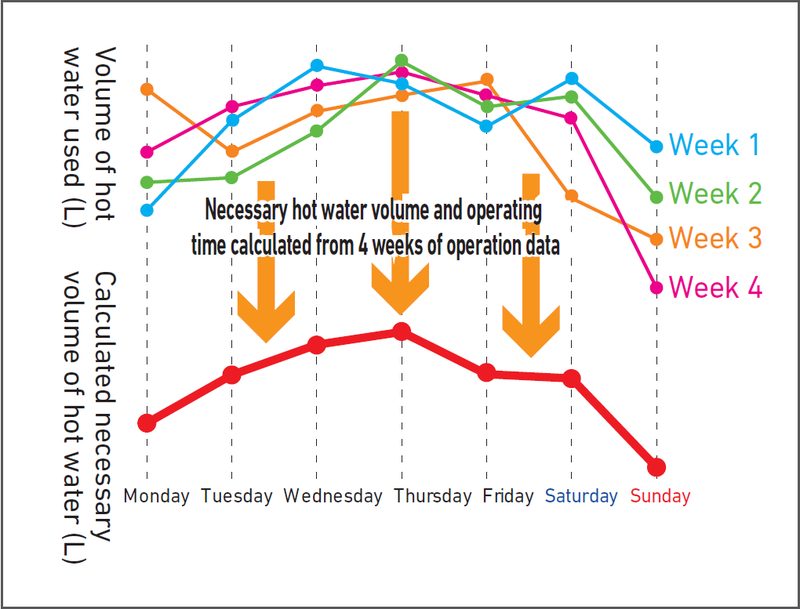 A discussion on the best solution for you, to ensure the future-proofing of your hot water production, and to deliver you savings for years to come. A complimentary project proposal and quote. Why consider an Air-Sourced Hot Water Heat Pump System? 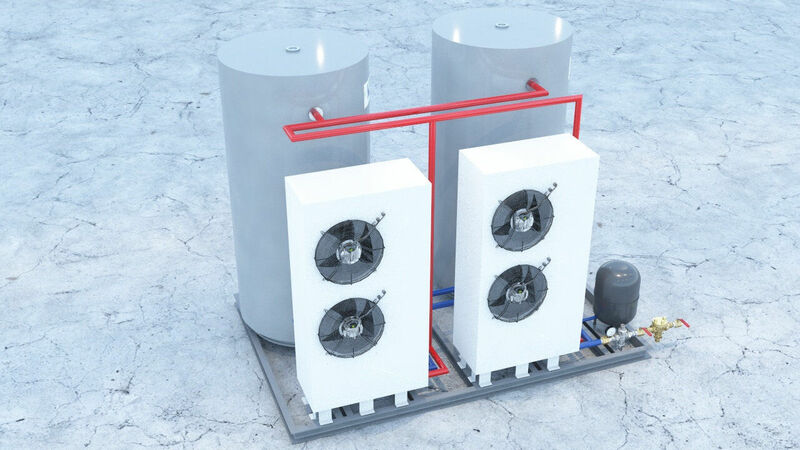 If you want to heat your water in the greenest, cleanest, and most sustainable way possible, an Air-Sourced Hot Water Heat Pump System is a great choice. Why? 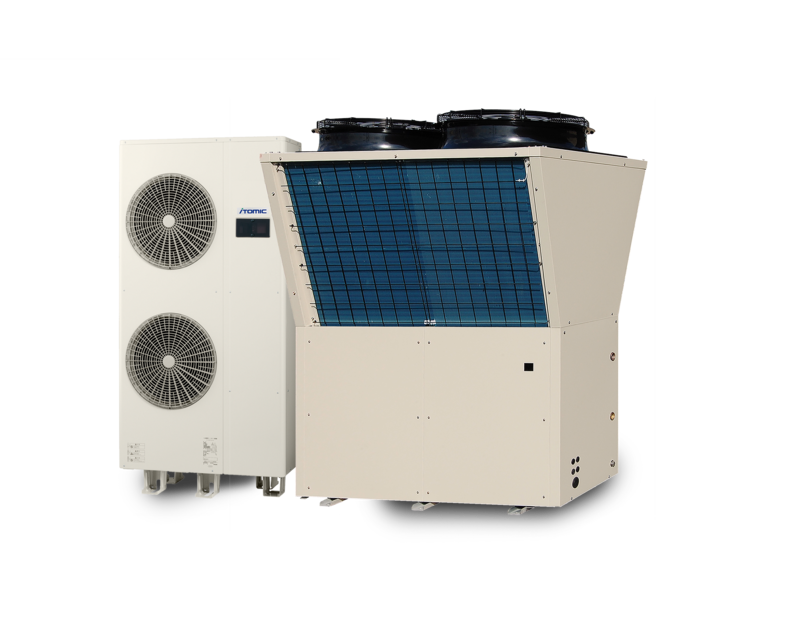 Because air-sourced heat pumps absorb heat from the air before transferring it to your water. They also run on electricity, as opposed to oil or gas, and are nearly four times more efficient than standard electric water heaters. Not only do air-source heat pumps greatly reduce greenhouse gas emissions, they also save energy, which in turn saves you money. Consumers worldwide are increasingly seeking sustainable, cost effective alternatives to traditional fossil fuelled equipment. Using natural CO2 as the refrigerant, and achieving a high coefficient of performance (COP), CO2 heat pumps offer both ecological and financial benefits. How do Air-sourced Hot Water Heat Pumps compare to conventional systems? When it comes to energy output, the way an air-sourced heat pump works is different to the way conventional systems operate. With conventional systems—e.g. electric, gas, or oil—1kW input of energy provides less than 1 kW of output energy or heat. Conversely, with a CO2 heat pump system, every 1kW of input energy consumed produces an average of 3.9 x the input as output energy or heat, by first extracting heat from the outside air. What is it about Air-sourced Hot Water Heat Pumps that makes them so efficient? With no combustion, no flue gases, and no acidic condensate to dispose of, electric air-source hot water heat pumps offer a quick, clean and highly efficient way of providing domestic hot water. The technology, developed many years ago, has been continually improved, and now provides significant opportunities for energy savings and sustainable heating where CO2 is used as the refrigerant gas. Why choose Eco-Cute CO2 Heat Pumps for your project? Eco-Cute CO2 Heat Pumps boast many features and benefits, providing your project with a number of environmental and economic advantages. Eco-cute can also ensure a high level of safety, as the absence of combustion reduces the risk of fire. Instead of the more conventional ammonia or haloalkane (R134A) refrigerant gases used in other systems, Eco-Cute CO2 Heat Pumps use supercritical carbon dioxide (R744) as the refrigerant. CO2, being a natural part of the air around us, can be safely returned to the atmosphere without any risk to humans or animals and with no detrimental impact on the environment or climate. Produce 90°C hot water with an average COP of up to 4.2. Convert 1kW of input energy into 3.9kW of output energy. Provide energy efficient DHW and space heating solutions for industrial, commercial and residential applications. 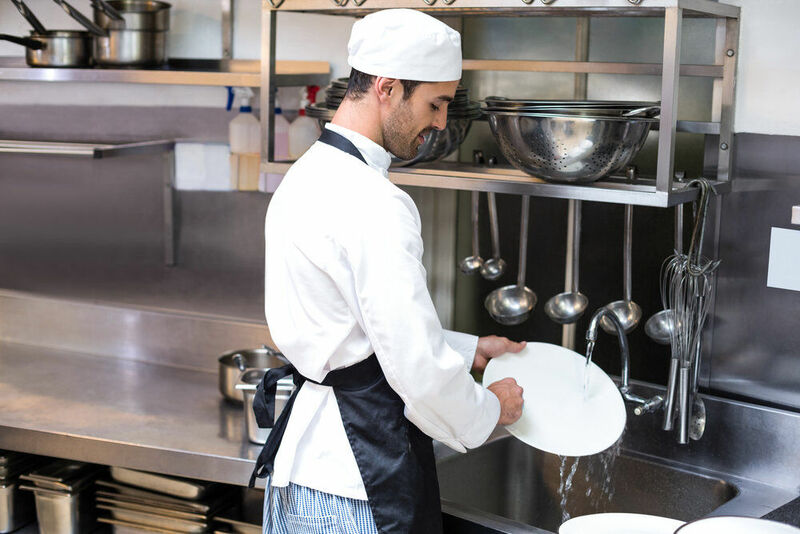 Produce hot water up to 90°C, even within ambient temperatures that drop to as low as -25°C. Itomic Nihon has been a leading manufacturer of hot water heaters in Japan since 1948. With over 2500 Itomic Eco-Cute CO2 Heat Pumps installed globally, this product continues to demonstrate its worth as a proven and reliable non-fossil fuel water heating system. How does an Eco-Cute CO2 Heat Pump System Work? Economic and environmentally-friendly, the Eco-Cute CO2 High Temperature Hot Water Heat Pump System moves heat from one location to another, using a very minimal amount of energy. First, heat is absorbed from a low temperature source (ambient air) by ozone-friendly R744 (CO2), a natural refrigerant that does not harm the environment. As the warm gaseous refrigerant circulates through the system it passes through the compressor, and its pressure and temperature rises. The hot refrigerant then passes through a heat exchanger, which in turn heats the water. The refrigerant is then cycled back into the system, and hot water is pumped to the storage tank. As CO₂ is a natural, non-HFC refrigerant, it boasts an ozone depletion potential (ODP) of zero, and a global warming potential (GWP) of 1. Conversely, traditional HFC refrigeration systems adversely impact climate change in two distinct ways: direct and indirect contribution. Direct contribution results from the release of refrigerants into the atmosphere. Indirect contribution refers to the energy used to operate traditional refrigeration equipment. Essentially, the less energy required to operate the equipment, the lower the impact on the environment. Visit our Introduction to Heat Pumps page for more information about the operational features of Heat Pumps. Heats up to 90°C – Due to its innovative design, the Eco-Cute CO2 Heat Pump can produce hot water up to 90°C at low and high ambient temperatures (-20°C to 43°C). Flexible – The same system can be simultaneously used for Space Heating & Domestic Hot Water. Versatile – Suitable for a wide range of purposes, from small facilities to large buildings where hot water or heating is required. 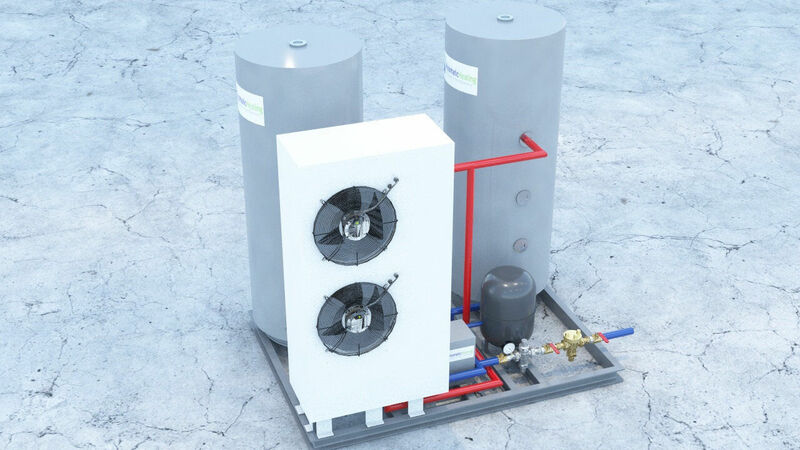 Eco friendly – The Eco-Cute CO2 Heat Pump uses natural CO₂ refrigerant. This refrigerant has a global warming potential (GWP) of about 1/1700 that of R410 and zero ozone-depleting potential (ODP). Energy efficient – Under optimal conditions, Eco-Cute CO2 Heat Pumps achieve an exceptional coefficient of performance (up to 4.2) which equates to higher energy efficiency. Compared to the traditional electric hot water heater, the CO2 hot water heat pump can save up to 75% heating energy. 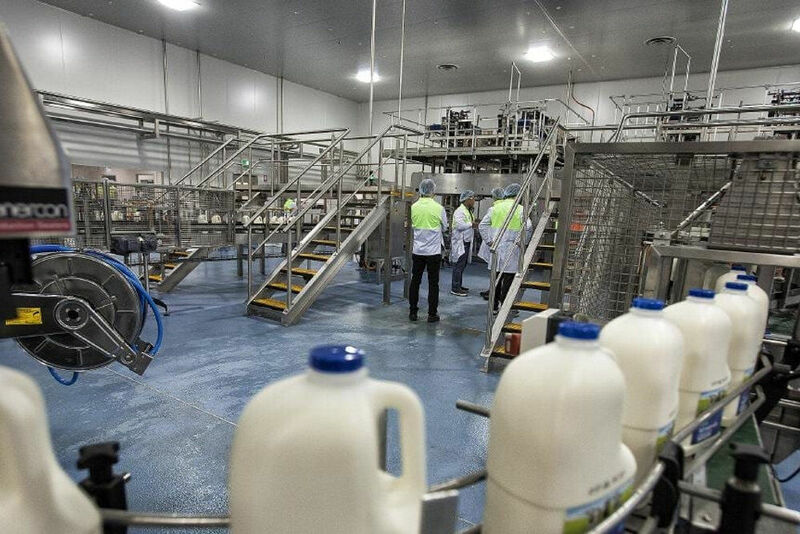 Further energy cost savings can be achieved through operation during off-peak times when a lower tariff is available. Anti-freeze/Cold Area Units – the heat pump is fitted with a defrost solenoid valve which will open when the evaporator ices up. The hot gas will then flow through the evaporator and melts the ice. One pass heating – It is suitable for heating water from low to high temperatures (large temperature difference) in one pass. Reduces storage requirements – Since this hot water heat pump can heat water up to 90ºC, the size of the storage tank can be reduced. Energy Saving Function – This function is an energy-saving function that learns operation patterns from the four previous weeks to prevent unnecessary heating and temperature decreases in stored water through natural heat loss. The use of this function based on operation data stops the unit from boiling water unnecessarily. Now you can hear yourself think! There’s a lot to think about when it comes to investing in a hot water heat pump system for your project, and noise levels are one of the important considerations. At Automatic Heating Global, we appreciate the value of quality systems that operate with minimal distraction. That’s why we’ve made sure that Eco-Cute CO2 Heat Pumps deliver a comfortable operating noise level, so those working nearby can remain undisturbed by its smooth operation.